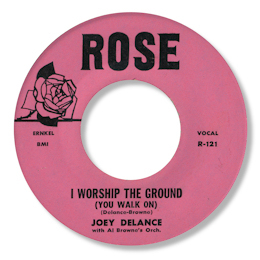 Yes it’s raw, it’s crude certainly but I Worship The Ground (You Walk On) is full of emotion. This version – especially the chorus - is based on Walter Rhodes original masterpiece for Mascot but maybe the verses are sufficiently altered to justify the different writers credits. Al Browne’s famous orchestra is noted on the label but they’re almost inaudible, and what is left is pretty much a solo by Delance. Good job he’s powerful enough to take the responsibility. This was probably cut in New York.